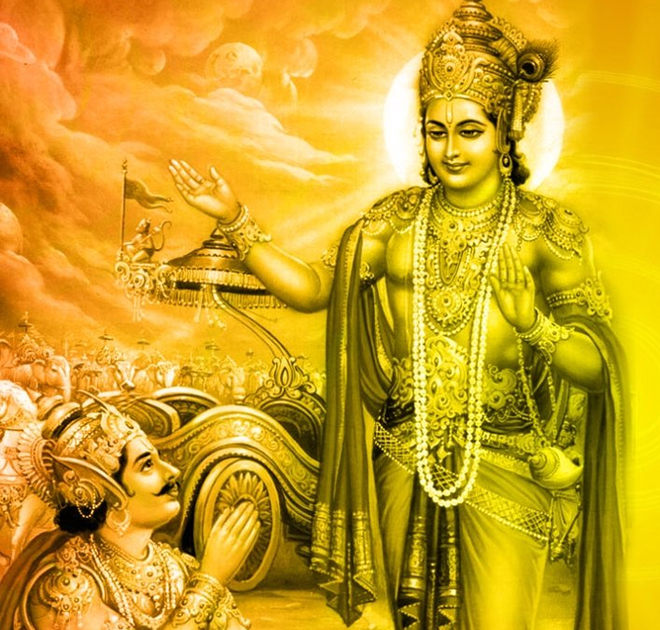 What were the inner feelings and emotions of Shri Krishna when he preached the Geeta? All inner feelings cannot be expressed in words. Some can be told, some are expressed through the body language, and the rest are to be realized which can only be understood by a seeker through experiences. Only after attaining the state which Shri Krishn had been to, an accomplished teacher knows what Geeta says. He simply does not reiterate verses of the Geeta but, in fact, gives expressions to the inner feelings of the Geeta. This is possible because he sees the same picture which was there when Shri Krishn preached the Geeta. He therefore, sees the real meaning, can show it to us, can evoke the inner feelings and would lead us on the path to Enlightenment. ‘Rev. Shri Paramhansji Maharaj’ was also an enlightened teacher of such a level and the compilation of his words & blessings to grasp the inner feelings of the Geeta itself is the ˜Yatharth Geeta’ as quoted by the author Swami Adgadanand Ji. SHRI PARAMHANS ASHRAM. © 2018, All Rights Reserved.